EA Mobile has announced that it will be bringing Ultimate Mortal Kombat 3 to the App Store sometime soon, for iPhone, iPod Touch and iPad tomorrow, December 16th! The game will feature 13 characters you know and love from the series (including Scorpion and Sub-Zero), beating each other to a pulp and performing some vicious fatalities. It will also support online play via Bluetooth and Wi-Fi, and let you “kustomize your kontrols” in the menu screen, should the default set-up not work for you. It’ll sell for $6.99. We’ll have a review shortly following its release. In the meantime, check out the first screens below! 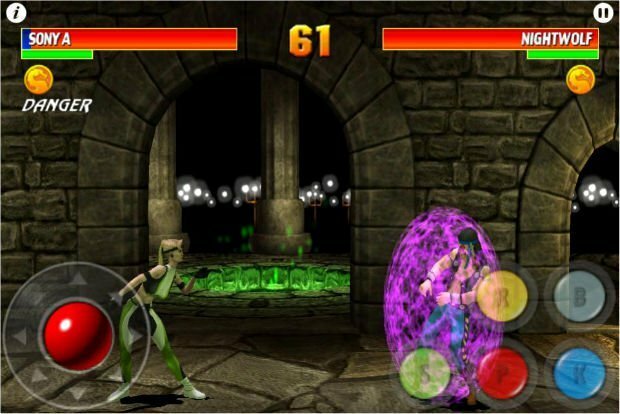 Are you ready for Ultimate Mortal Kombat 3 on Iphone?